This razor has an extended heavy-duty handle and weighs an impressive 99 grams. The handles weight and size make for an incredibly comfortable and close shave. The extra length and weight is very noticeable when compared to similar heavy-duty styled razors. 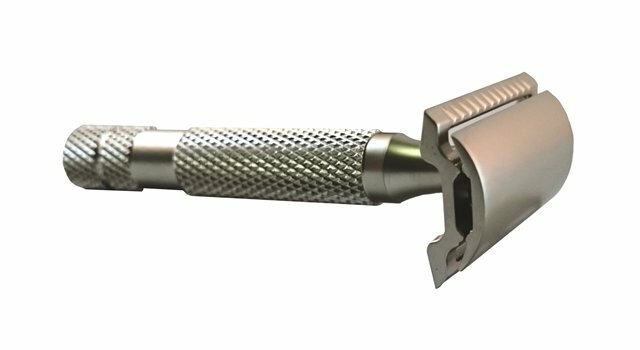 This razor has a durable satin finish which looks great and also helps with grip when your hands are wet. The intricate and detailed tooling is second to NONE and offers tons of grip without being sharp or harsh, for both precise control and confidence when shaving those finicky areas!